Disseminate messages and emergency notices to groups of individuals via text, email and/or voicemail. Create sign-ups – whether volunteer time slots, items needed for an event, or things that need to be done – users can post the list, watch volunteers sign up and know who’s doing what in real-time. Schedule events and collect RSVPs from people in the group. Post and manage discussions among group members. 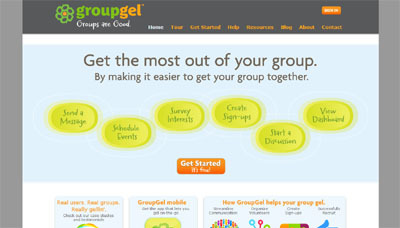 While there are lots of great sites that offer piecemeal functionality, GroupGel is the first site that pulls all the functionality together for comprehensive group management in one location, resulting in truly streamlined group management and coordination.